Calgary First Aid is the leading training service provider of workplace approved certification programs in Calgary. Training courses in first aid, cardiopulmonary resuscitation (CPR), and automated external defibrillation (AED) are available throughout the week, with very flexible schedules. There is no other training service provider in the area that offers better course for cheaper rates. To enrol in a training course with Calgary First Aid, click here or use the application form at the end of the page. A complete list of available classes can be found on the website. You can contact Calgary First Aid with the contact information below. The Calgary First Aid training center is located in south-west Calgary, just outside the downtown area. Public transport is easily accessible with the C-Train station located on the other side of the street. There is also free parking nearby, and restaurants within walking distance. Trainees can be assured that they will be receiving the lowest course rates in Calgary. The course rates listed below cannot be beaten by other training service providers. All rates are inclusive of taxes, certificates, and workplace approved registration fees. Trainees don’t have to worry about additional expenses because training manuals and equipment are also included in the fees above. Full refunds are also given to trainees who drop out of a training course, provided a 72-hour notice is given. Why enrol with Calgary First Aid? Enrolment is hassle-free through the on-line application form below. Telephone calls, e-mails, and walk-ins at the training center can also be used to complete enrolment and registration. Trainees who complete a course are awarded a certificate for firs aid, CPR, and AED, valid for three years throughout Canada. Refresher courses for expiring or near-expiry certificates are available twice a week at Calgary First Aid. Training centers are complete with the latest training equipment, with spacious and well-maintained classrooms. The customer service staff at Calgary First Aid is very friendly and accommodating. They will be sure to answer any of your queries regarding classes and schedules. All classes are taught by workplace approved certified trainers so you’re assured of only the best training. Chest compressions should be at least 2 inches deep and allow enough time for the chest to recoil. 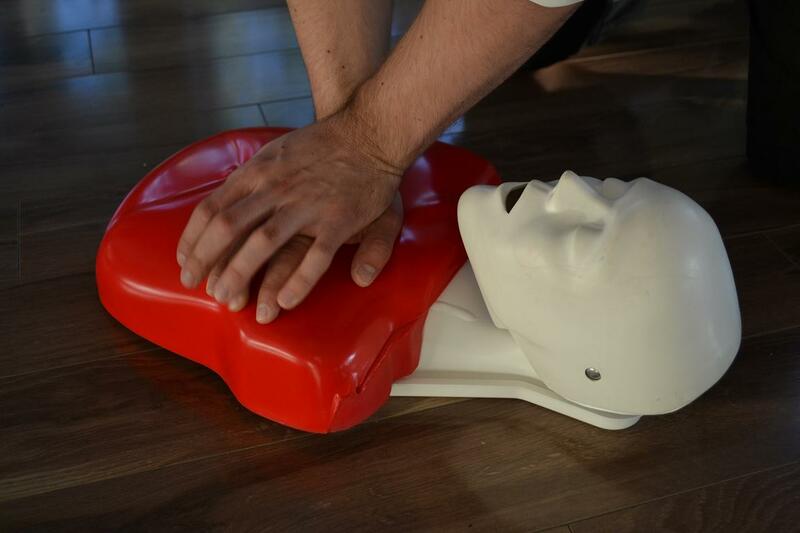 CPR/AED courses are offered in three levels: “A”, “C”, and “HCP”. AEDs are machines that detect heart rhythms and apply needed shock to the heart. Training in CPR and first aid through Calgary First Aid will help trainees improve their confidence, knowledge, and skill regarding first aid. Check out the Calgary First Aid webpage or use the form below to register for a training course today! Get a head start on your training today! Calgary First Aid uses the latest techniques in first aid and CPR in all of its programs. Start your training right now by watching the video posted below. In standard first aid, candidates will receive training for wide range of different emergency situations. Candidates will learn about recognizing and managing first, second, and third degree burns. Burns can be caused by a number of different agents such as chemical, electrical, thermal and radiation burns. With serious electrical burns, you may have to look for the entrance and exit points for the electrical current as they will be open wounds that may need to be treated. Learn about this and other unique first aid scenarios by taking first aid training with Calgary First Aid.